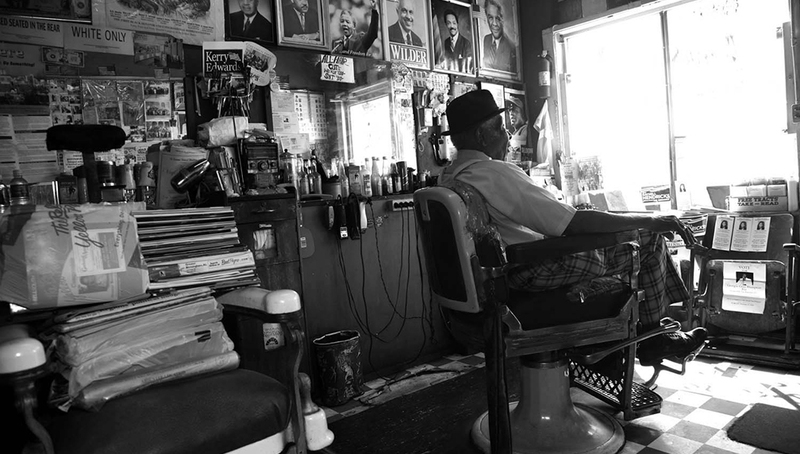 "The Barber of Birmingham" is Robin Fryday's 2012 Oscar-nominated documentary short. In 2008, the potential nomination of Barack Obama as the first African American president aroused a strong impulse to explore its impact on the aging Civil Rights activists in the South. Following a research trip to Alabama, Robin decided to capture the stories of those who fought for the right to vote in the 1960s. She collaborated with award-winning documentary filmmaker Gail Dolgin. Their resulting film, "The Barber of Birmingham," is about foot soldier James Armstrong, his thoughts and his stories about the tumultuous era in the South. This film follows 85-year-old Mr. Armstrong, as he experiences the manifestation of an unimaginable dream: the election of the first African American president. Mr. Armstrong casts his vote, celebrates Obama's victory and proudly unfurls the American flag he carried across the Edmund Pettus Bridge as he is inducted into the Foot Soldiers Hall of Fame. Mr. Armstrong links the magnitude of the present paradigm shift with challenges he faced in the past: from his sons' integration into an all white school to the Bloody Sunday march for voting rights. "The Barber of Birmingham" made its premiere at Sundance in 2011.